According to the Lux Research report, “Plug-in adoption is ultimately being fuelled by rapidly decreasing battery costs and the success of early EVs such as Tesla’s Model S and Nissan’s Leaf, which has forced a number of other OEMs to make more serious commitments to developing plug-in vehicles.” While plug-in hybrid electric vehicles (PHEVs) will perform well in unit sales, accounting for 740,000 of 1.5 million vehicles over the next four years, fully electric vehicles will account for over 80 percent of the energy storage demand due to their larger battery packs. According to a separate report by BNEF, we are currently witnessing the start of mass-market lift-off, with market share set to grow from one-tenth of a percent today to over 35 percent by 2040. Experts are forecasting the 2020s to be the decade of the electric car, with long-range electric vehicles said to cost less than US$22,000 in today’s dollars by 2040. While uptake has been slow until recently, the situation will change quickly as battery prices continue to fall. Battery prices fell 35 percent last year alone, with unsubsidised electric cars likely to be as affordable as their gasoline counterparts in the next six years. Electric car sales grew by about 60 percent worldwide in 2015, the same growth rate that helped the Ford Model T overtake the horse and buggy in the 1910s. While compounded annual growth at 60 percent makes for a very aggressive forecast, electric vehicles are set to displace 2 million barrels a day of oil demand by 2023 if current demand continues. The real lift-off for electric cars will not occur until 2022, however, the date when EVs are forecast to cost the same as comparable internal-combustion cars, meaning consumers can make decisions based on factors other than price. In the next few years, a number of car manufacturers are planning to sell long-range electric cars in the range of US$30,000, including Chevy and Nissan. While Tesla will continue to lead the top-end of the market, well-known luxury brands such as Audi also have plans for an electric future. With batteries making up roughly one-third of the cost of electric vehicles, more manufacturers will show interest as technology improves and component prices drop. 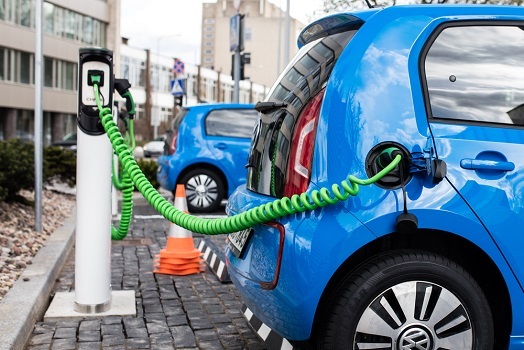 Despite the rise of electric vehicles, oil markets remain sceptical, with rising oil demand from developing countries likely to offset the impact of electric cars for the next few years.